Av. Reina Sofia s/n , 18210 Peligros, Spanien. 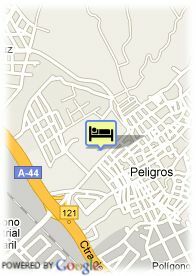 Modern and confortable hotel situated in Peligros, 5 km from Granada, in the heart of the region of Vega. Near to the motorway that concedes you easy access to the capital, the airport and the Sierra Nevada. Offering 50 large bedrooms that comprise all the necessary facilities to make your stay a pleasant one, whether it be for business or tourism. 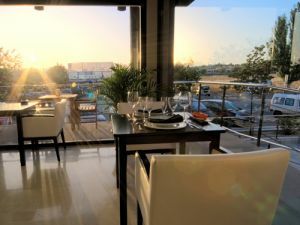 At your disposal is a complete restaurant, snack bar, practical parking facilities (free parking, on request) and wireless internet connection throughout the entire complex. Kostenlose open air Parkplätze beim Hotel, Bezahltes überdachter Parkplätze beim Hotel (12.00 €). ältere Kinder und Erwachsene: 18.00 € pro zusätzliches Bett.